A successful (and cold!!!!) week-end for our teams at the NEFC tournament in Mass this past week-end. 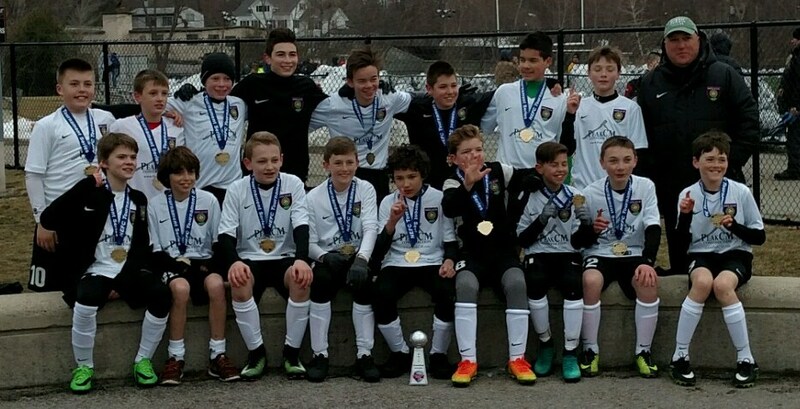 2004 Premier Boys won their age group with wins over GPS MA South Shore (3-2) , GPS ME Phoenix (7-1) and NY Elite (1-0) in group play before a 3-2 victory over GPS NY Elite in the Final. Our 2005 Boys Green had a successful week-end with a 10-2 win over NEFC, 3-1 vs GPS MA West and a 2-2 tie with NEFC before falling 3-1 to GPS NY Elite in the Final. 2006 Boys Green were also finalists. After a 2-0 loss in their first game to Bruno Utd, Nordic bounced back with a 7-3 win over GPS Boston Elite and 9-0 over NEFC before falling to FC Stars in the final. 2002 Premier Boys got their season off to a good start with respectable wins over GPS NY Elite (5-3) and NEFC (4-0) and a tough 3-0 to regionally ranked CT Rush.